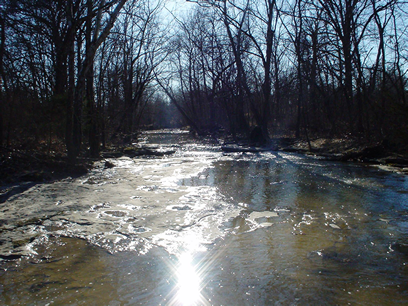 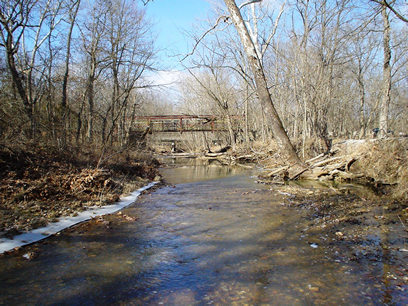 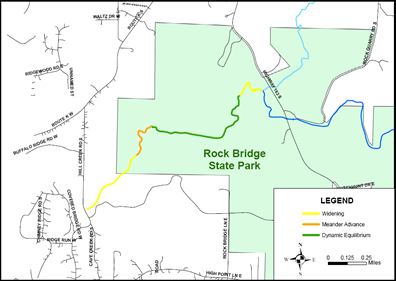 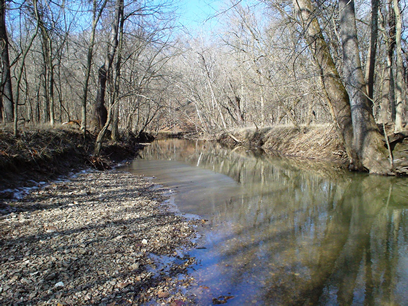 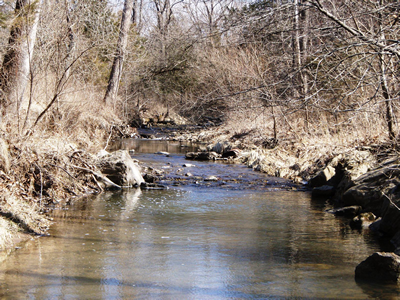 The city of Columbia retained Intuition & Logic to perform a geomorphic reconnaissance for approximately 13 miles of stream from 3 sensitive watersheds: Little Bonne Femme (2 miles), Gans Creek (6 miles), and Clear Creek (4.5 miles). 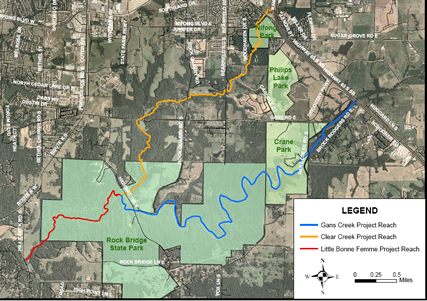 The project included a review of existing hydrologic and hydraulic data, geomorphic field data collection, GIS data mapping and a rapid assessment of geomorphic process. 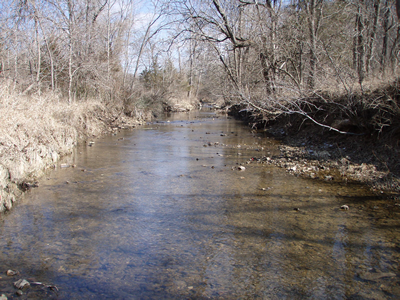 Dynamic Equilibrium, Widening and meandering were the three dominant fluvial processes at various locations in these streams. 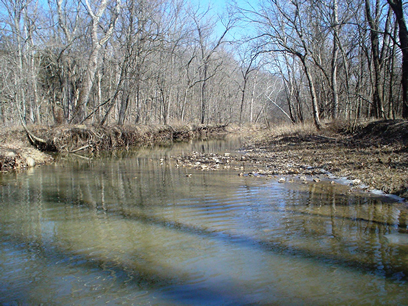 Management recommendations included maintaining the watershed hydrologic regime using two stage channels in new construction, provide grade controls locating to match the existing riffle pool spacing and spanning the meander band width, locate manholes, cleanouts and other underground utility amenities outside the meander band width.